We specialize in cultural, Islamic heritage pre-organized tours to Spain and Morocco. We also offer customized trips in Spain and Morocco for Muslim travelers from around the world. 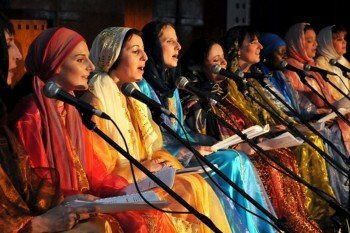 Cross-Cultural Services guarantees the BEST Spiritual, Sufi, and Muslim travel Packages to Spain and Morocco. We are proud to supply hand-picked Tour itineraries unique with impeccable service, an organization, and knowledge hard to any other touring company to duplicate. Our scholarly trained multi-lingual speaking guides: English, Arabic, French & Spanish are our best asset. Cross-Cultural Services offer Group GITs and customized FITs tours that allow our guests to have an unforgettable travel experience by immersion in Moorish History, spirituality, and culture. From tours to remote Berber Villages traditional souks and marabout, Imperial Cities old zaouias and Medersas, Mystical encounters in the Sahara Desert Treks, Atlas Mountain hiking, arts and crafts to explore plus Culinary Tours. We show our travelers the hidden treasures of Spain and Morocco in-depth cultural bespoke trips. Join our Tours in Spain and Morocco to explore the pinacle of Islamic civilaization. 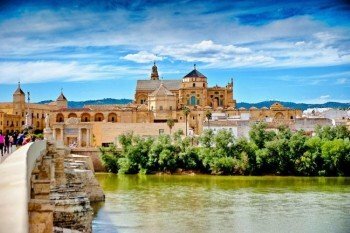 Spain holds some of the most beautiful Muslim monuments such of Alhambra Palace and the Great Mosque of Cordoba, Alcazar Palace, and La Giralda Tower. All of our Muslim Tours in Spain and Morocco are conducted by the best Muslim guides with stops in notable places and mosques for prayers. All meals supplied in our islamic packages are totally Halal.
" Seek knowledge from the cratle to the grave " - Our Prophet (s.a.w.s) said. Islamic Heritage in Spain and Morocco will contribute to your knowledge and well being tremendously. Our trips are beyond just the travel scoop. We have made Halal travel in spain worries free and easy for you by selecting hand-picked certified restaurants that supply the best staples of Islamic normes. 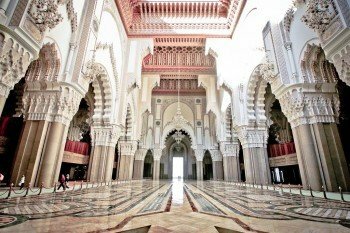 A special study tour exhibiting Islamic History shared between Spain and Morocco at best. 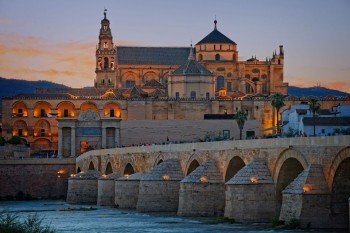 In-depth Islamic Heritage tour of Spain, priced budget with a small group. 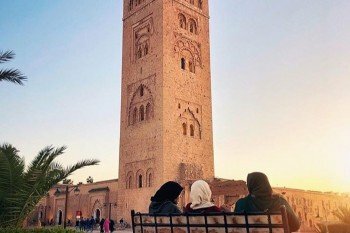 If you wish to visit a country with enticing Muslim history, breathtaking natural landscapes and wonderful Halal cuisine then join one of our Morocco tours. Morocco is a culturally rich, spiritually rewarding, a majestic country that sits at the crossroads of Europe, Africa and the Middle East. A great tourist destination for Muslim vacations. So endowed, there is no place on earth quite like it. If you are from North America, Australia, or the European Union then you do not need visas to visit either Spain nor Morocco. Otherwise, you need a Schengen visa to visit Spain and a regular tourist visa to visit Morocco. You can apply for these visas from the Consulates in your country. With a tourist Visa, you can stay up to three months in either country. Spain and Morocco are well-developed countries in communication and internet connection. Wifi is free in all public spaces, coffee shops, and Teahouses, all hotels have free Wifi at least in the lobby. If you are touring In Remote areas where the connection is a bit scarce, you can buy time by the hour from local internet providers like Orange in a USB device that you can plug into your Computer and be connected wherever you wish to share your travel experience with family and friends. Cyber cafes are available in Spain and Morocco. Water is safe to drink but give yourself at least three to four days to acclimate before you can drink tap water. Filtered water and bottled water are available throughout Spain and Morocco. We supply bottled water in all of our Muslim Heritage tours in our bus. When taking any tour in summer, keep yourself hydrated especially in our walking tours. Ramadan is the fasting month for all Muslims around the world so it is a religious collective celebration. Ramadan in Morocco is quite an interesting experience as the life schedule and rhythm change to accommodate implementing this Islamic duty. Even non-Muslim in Spain understand and respect this ritual. Fasting in Islam is a total purification of body and soul. It is to stop eating, drinking, smoking, indulging in any pleasurable physical and mental activity. Travelers are not required to fast but with a little respect. While it is OK to do what you wish in Spain, they are advised not to smoke or eat in the street in Morocco. Restaurants and other accommodations are all available for tourists. The fasting goes from dawn to sunset. Mornings are quite somehow in Morocco, afternoons are busy and active, nights are reserved for outdoors and festivities. 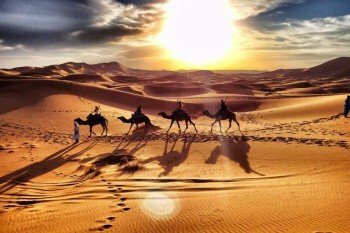 You can turn travel in Ramadan to a unique and rewarding spiritual and cultural experience impossible to acquire at any other time. Walking through traditional Markets we call Bazaar or Souks in Spain and Morocco is one part of discovering the cultural and artistic aspect of these destinations. Our tour company has taken serious steps after years of studies that some of our customers insist on shopping others do not feel the need for it. We have decided to make souks walk at the end of our walking tour and absolutely after all activities of visiting all historic and spiritual sites. This will give you a choice whether to partake in shopping experience or simply tell your tour leader that you prefer to have some free time on your own. He will then help you by facilitating a feasible alternative that will be satisfactory to you during this time of your walking tour. Cross-Cultural Services has devoted some free time for shopping in major cities or where we know is safe for you to mingle around on your own. However, there are coops of women and traditional guilds in Spain and Morocco that sustain minorities and NGOs that benefit all. There you can shop for a better quality of goods at best cost.